Jabsco Twist-N-Lock pump. Replaces Jabsco 29040-1000, 29040-20000. © Marine Parts Source. PICK UP OPTION. Star Brite 93016 StarTron Gasoline Additive 093016 16 oz. Sierra Rotor 18-5407. You might also like. 3842786 3588914. VOLVO PENTA. Water Pump Impeller. RAW WATER SEA WATER. Jabsco PAR-Max 2.9 GPM water system pump. Replaces Jabsco 31595-0092. 12 volt PAR-Max 2.9 series automatic water pressure pump provides smooth, quiet water pressure to on-board pressurized water systems. A jabsco ray line 135sl halogen search light used and in good working condition all functions were tested and are working. New Jabsco service kit for 37010 series marine electric toilets. Part number 37040-0000. 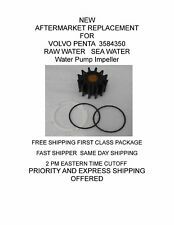 Includes new gaskets, seals, impeller, wearplate, lubricant, and instructions. Describe the nature of the problem and its urgency (include pictures if possible). Jabsco 18590-2092 Macerator Waste Pump 12V DC Marine Self-Priming 1-1/2" 1"
New Jabsco self-priming macerator waste pump with fully-sealed motor and heavy-duty chopper blade. Part number 18590-2092 (12V DC model). Also replaces 18590-2592 model. Ideal for emptying marine holding tanks, evacuating fish box and livewell tanks, and transferring waste between holding tanks. 4.5 out of 5 stars - Jabsco 18590-2092 Macerator Waste Pump 12V DC Marine Self-Priming 1-1/2" 1"
14 product ratings14 product ratings - Jabsco 18590-2092 Macerator Waste Pump 12V DC Marine Self-Priming 1-1/2" 1"
New Jabsco marine impeller kit. Part number 6303-0003-P. Used in Jabsco water puppy, bilge, 37010-series electric toilets, and macerators (including 18590-2092). Replaces Johnson 09824P. Includes gaskets and o-rings. The pump is a manual demand pump for use with an electric faucet. Open a faucet, allow air to vent and close faucet when water flow is steady. Faucet strainers and aerators should be cleaned regularly. NPT female threaded ports or connections for 1 in. long x 4 3/4 in. wide x 3 1/2 in. high 4 1/2 lbs. 8 amp draw 15 amp fuse size Replaces Jabsco 06360-1001. Replaces Jabsco 06360-1001. 12 Volt flexible impeller pump is ideal for bilge pump, livewell circulation, washdown, and shower drain applications. JABSCO FLUSH MOUNT STAINLESS STEEL DECK FITTING. Jabsco 31911-0000 Literature Download Product Brochure. Stainless Steel Deck Mount Fitting, 1/2" NPT Female Inlet, 3/4" GHT Male Hose Adaptor. The Quick Release Connector provides the perfect installation solution for your HoseCoil washdown or garden style hose. New Jabsco washdown quick connect kit. Part number 31911-0000. Includes stainless steel flush-mount deck fitting. 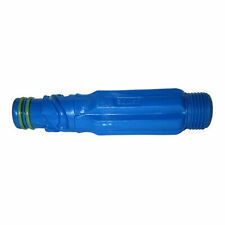 Quick connect fitting has 1/2″ NPT female inlet and 3/4″ GHT male hose adaptor suitable for HoseCoil. Jabsco 37041-0010 12-Volt Macerator Toilet Motor/Pump. Jabsco Marine Toilet Macerator Motor and Pump Assembly. For Jabsco 37010 Electric series toilets. Replaces Jabsco 74001-2460, 37041-0910. © Marine Parts Source. Tough, weatherproof, corrosion resistant white housing. White's Marine. 02-02-2018 16:36:51. 12 Volts DC. 75 degree vertical beam spread. Jabsco motor and pinion kit. Fits Jabsco 62026-4002H, 62022-4002H, 62040-4002, 62040-4006, and 62042-4006 marine searchlights. Replaces Jabsco 43990-0079. © Marine Parts Source. Star Brite 93016 StarTron Gasoline Additive 093016 16 oz. Spot and flood beams. Tough, weatherproof, corrosion resistant white housing. White's Marine. 02-02-2018 16:38:10. 12 Volts DC. Full 360 degree horizontal rotation and 60 degree vertical sweep. This light will help you locate buoys, moorings and channel markers much easier and will add safety to your boating activities. Light: 7"W x 7.5L x 7.875H. Easy to install SPECIFICATIONS. NPT female inlet 3/4 in. GHT male garden hose adapter 2 7/8 in. length from top of the deck fitting 1 3/8 in. cut-out hole. Connect to your washdown hose in seconds with a simple twist lock feature. I am selling a Jabsco searchlight controller. It is new out of the package and comes as shown in the pictures. The front of this controller measures roughly 3 5/8" X 3 1/8" and this item measured from front to back has the depth of roughly 3 1/2". It has (2) plugs on the back that are shown in the pictures. This item has (2) mounting holes on the bezel that have the ID of roughly 3/16". This item only comes with the parts shown in the pictures, no additional pieces or hardware is included. For more information please contact a dealer in your area. ( HMB / 92 D / 9067460 ) Shipping cost is for the continental United States (lower 48 states) only. For shipping outside of the continental United States please inquire about shipping cost before bidding. Enables you to quick-connect your water hose in seconds. Combine the deck washdown fitting with a hose coil washdown hose and keep the deck clutter free. Jabsco Flush Mount Hose Adapter. Perfect solution to remove that unsightly hose bib deck fitting and rusty knob. Includes drain plug fitting, oil drain hose cap and hose hanger clamp. It is an ideal oil drain kit for use in conjunction with a Jabsco drill pump or hand pump. Drain plug fitting size is 1/2" - 20. Deep x 4 3/8 in. high x 4 3/8 in. wide Weight: 0.4 lb. Jabsco water pressure regulator. female GHT inlet for potable garden hose connection. Water pressure regulator with 90 degree threaded outlet protects boat’s water system from incoming unregulated dockside water pressure. Replaces Jabsco 66122-0000. 8 Way Switch. © Marine Parts Source. Star Brite 93016 StarTron Gasoline Additive 093016 16 oz. Sierra Rotor 18-5407. You might also like. Trending at $85.13eBay determines this price through a machine learned model of the product's sale prices within the last 90 days. Flush Mount Hose Adapter. Enables you to quick-connect your water hose in seconds. Combine the deck washdown fitting with a hose coil washdown hose and keep the deck clutter free. Perfect solution to remove that unsightly hose bib deck fitting and rusty knob. Corrosion resisting bodies and self-lubricating qualities assure minimum maintenance and long life. Bronze pump unit has removable end covers for easy impeller service. Ideal for bilge pumping, deck washdown, livewell circulation and general purpose pumping. New Jabsco accumulator tank with internal bladder. Part number 30573-0000. The accumulator tank smooths water flow and reduces on/off cycling of the pump by lessening the variation in pressure and flow between the pump and the outlets in the system. Boat Accessories: Deck-Cabin. Boat Inboard I/O Engine Parts. Boat Outboard Engine Parts. Includes drain plug fitting, oil drain hose, cap and hose hanger clamp. It is an ideal oil drain kit for use in conjunction with a 415287 (17250-0003) drill pump or 415249 (34060-0010) hand pump. © Marine Parts Source. Star Brite 93016 StarTron Gasoline Additive 093016 16 oz. Sierra Rotor 18-5407. New Jabsco 29120-5000 marine manual electric toilet. It provides protection against siphonic flooding and waste backflow with one easy, 90 degree turn of a handle. Jabsco model 29120-5000 replaces the discontinued 29120-3000 model. Hose barb & NPT inlet port 1 in. long x 4 3/4 in. wide x 3 5/8 in. Jabsco macerator pump. Jabsco's 12 volt Run-Dry pump performs many different duties including waste maceration, holding tank evacuation, & livewell evacuation. Model 32605 includes Pumpgard Intake Strainer, Pressure Nozzle and Port Fittings. New Jabsco Par Max 4.0 Washdown Pump. Model number 32605-0092. Flow rate up to 4.0 US gallons/min (15 Litres/min). Self-priming up to 8 feet (2.5m). Rugged and simple directional control switch to be used on the Jabsco 135SL searchlight (60020-0000). : : : : : :. New Jabsco Par-Max 2.9 water pressure pump. Part number 31395-0092. For 12V DC systems. Requires 10 amp fuse. 2.9 GPM (174 GPH) flow rate. ISO 8846 MARINE (ignition protection). Describe the nature of the problem and its urgency (include pictures if possible). New Jabsco Y-Valve. Part number 45490-1000. Easy access to valve – by removal of just three hex head machine screws, top cover and diverter assembly lift away from the body. Valve is supplied with both 1-1/2″ (38 mm) ports (fitted) and extra 1″ (25 mm) straight inlet port. Electric Marine Toilet - Regular Bowl - 12V. This versatile toilet brings the luxury of electric flushing aboard your vessel. Regular Bowl size. Wood - Standard Close lid. For use with sea, river or lake water only. Jabsco searchlight bulb. Fits Jabsco 61022, 61025, and 61026 searchlights. © Marine Parts Source. Star Brite 93016 StarTron Gasoline Additive 093016 16 oz. Sierra Rotor 18-5407. You might also like. Jabsco part number 29040-3000. Works with Jabsco 29120-3000 and 29090-3000 manual toilets (boat head). Will also work with older Jabsco manual toilets back to 1986 to upgrade them to the new Twist ‘n’ Lock style. SELF PRIMING TO 3FT. FITS ELECTRIC DRILL WITH 1/4" TO 3/8" CHUCK. Base Valve Gasket for 29090 & 29120 Series Toilets. 29090 Series Toilets. 29120 Series Toilets. Description : Pressure switch, 50 PSI Fits : 31395 : : : :. Pump Body - Glass Filled Polypropylene. Pump Design - 4 Chamber Diaphragm. Suction Lift - Self Priming to 8 ft. Corrosion Resistant. Dry Running Capability. Long Life Sealed Motor.